You scramble home from work, 30 minutes later than originally anticipated. Youâ€™re absolutely starving, throw down your laptop bag, rip open the refrigerator, and...nothing. Does this sound like you sometimes? Scratch that â€” does this sound like you almost every night of the week? Youâ€™re definitely not the only one constantly scrambling to get dinner together after a long day, often resorting to takeout, frozen meals, or meal kits just to get something decent on the table. Weâ€™ve been there. Unfortunately, this can make clean eating next to impossible â€” until now. Below, youâ€™ll find quick, easy weeknight dinners that can be prepared in as little as 20 minutes. Keep these easy dinner ideas on the back burner for the next time you need dinner ready in a flash. â€�Baked chicken thighs are an easy (and quite affordable) dinner idea perfect for almost any night of the week. 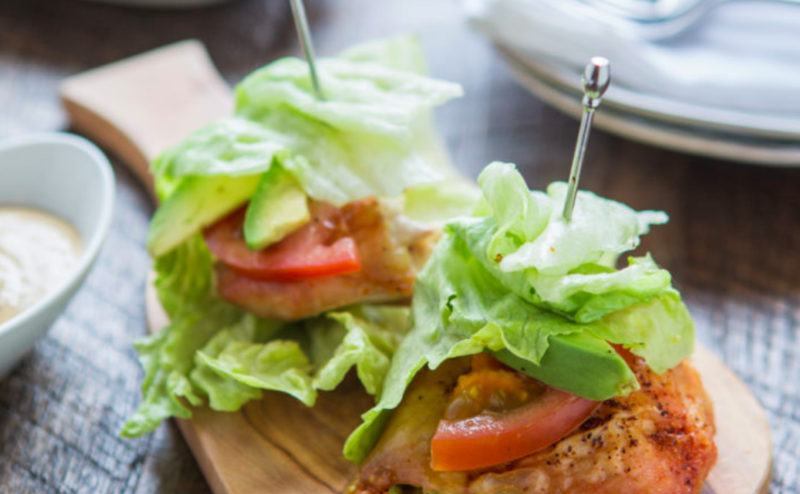 By adding a little homemade mayo, avocado, and tomato in a lettuce wrap, you have a low-carb, healthy dish perfect for lunch or dinner. This recipe is so easy to make, it will surely become your go-to weeknight meal. First, marinate your salmon in a combination of lemon juice, olive, and dill. 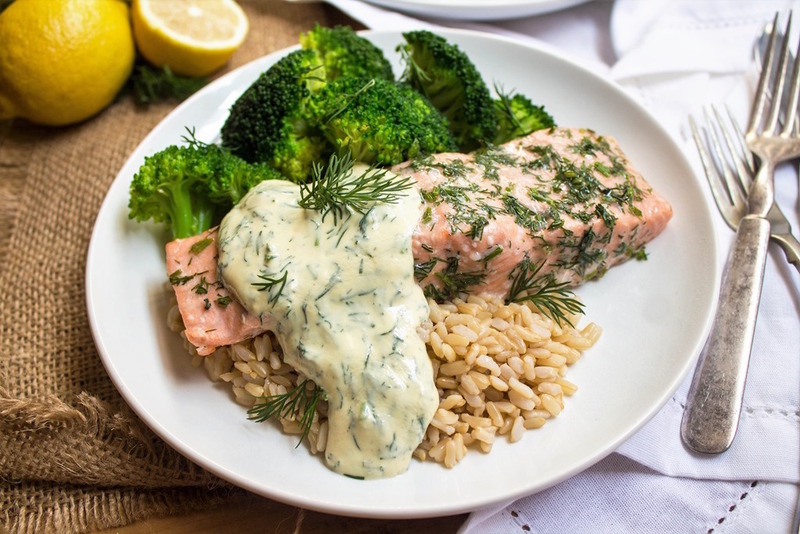 Bake your salmon while you whip up the sauce (made from mustard, dill, yogurt, and lemon juice), then pour the sauce over brown rice and veggie of choice for a simple dinnertime meal. 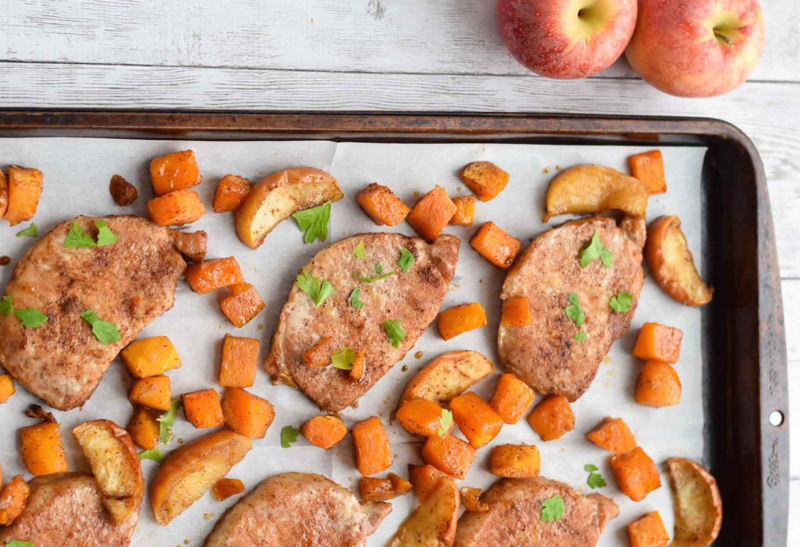 What can possibly be easier than slicing up a few sweet potatoes, tossing them in brown sugar, then assembling them on a single sheet pan with a few pork chops? This pork chop recipe is foolproof to follow, and perfect for those busy weeknights. Sometimes, soup recipes just donâ€™t count as dinner unless theyâ€™re loaded with mounds of toppings. 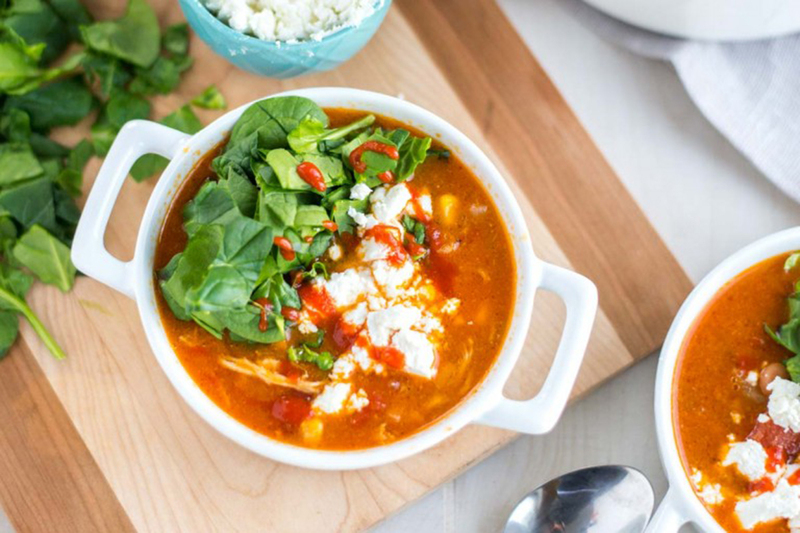 This hearty chicken chili by Simple Roots Wellness certainly fits that criteria, combining white beans, corn, tomatoes, carrots, celery, and shredded chicken breasts into a single bowl. Top with sriracha, spinach, and goat cheese for the full effect. 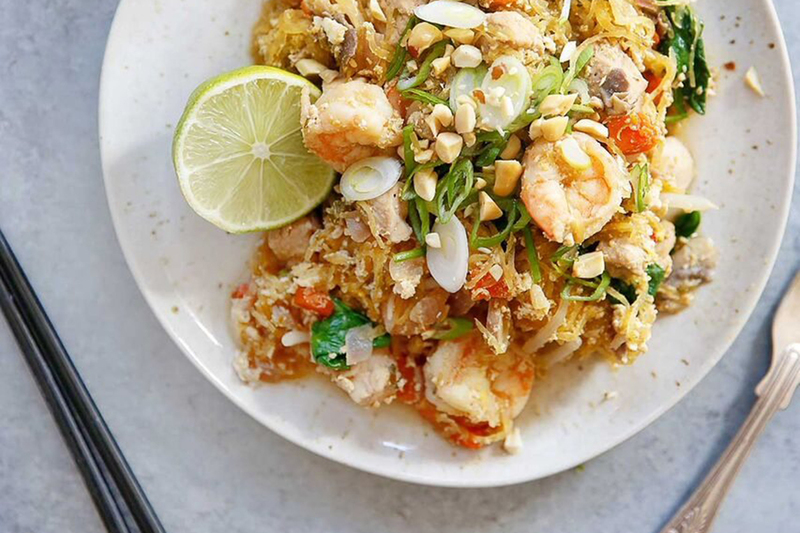 If you love pad thai, you need to try this recipe. Lexiâ€™s Clean Kitchen takes out the carb-heavy noodles youâ€™re accustomed to, replacing them with spaghetti squash. The result is a dairy-free, gluten-free dish packed with vegetables and protein. No matter what youâ€™ve been told, you donâ€™t need to slow-roast carnitas or chicken breasts for hours on end to make authentic, homemade burrito bowls. This ready-in-30 recipe contains black beans, riced broccoli, sweet corn, and seasoned chicken breasts for a healthy Mexican meal your family will love. With just four steps and five minutes of prep time required, this may just be one of the easiest recipes on this list. 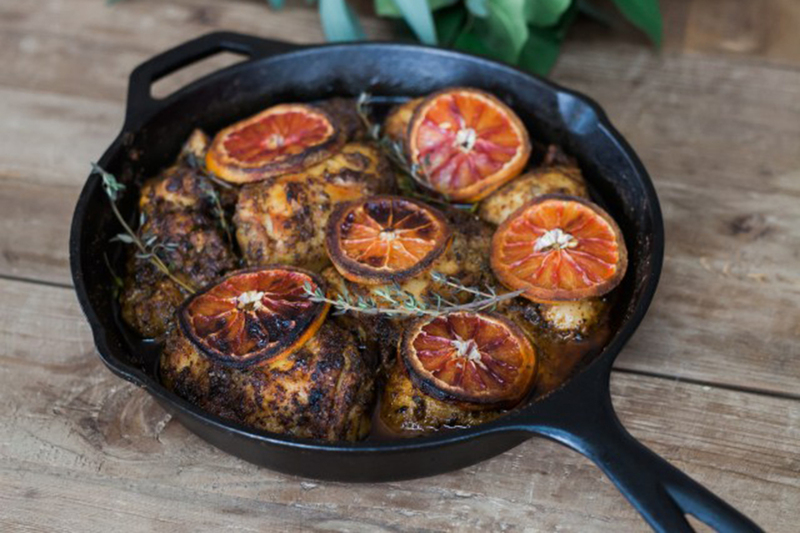 This pan chicken recipe by Jessiâ€™s Kitchen combines blood oranges, cumin, and chili powder for a sweet-yet-spicy dish. Plus, it requires just one pan, making the cleanup as easy as the preparation. There is something completely irresistible about simple, one-pan meals. 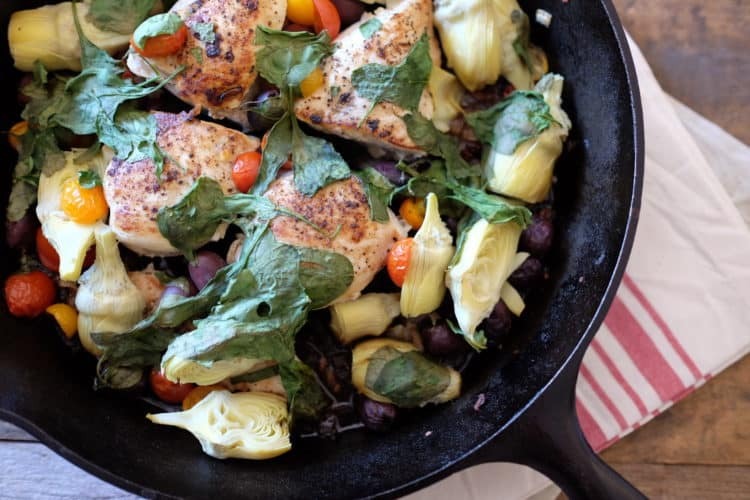 This recipe comes with all the Mediterranean flavors you love, including artichokes, cherry tomatoes, kalamata olives, red onion, and chicken breasts. Simply toss all ingredients together in a cast iron skillet, then bake at 400 degrees Fahrenheit for half an hour. 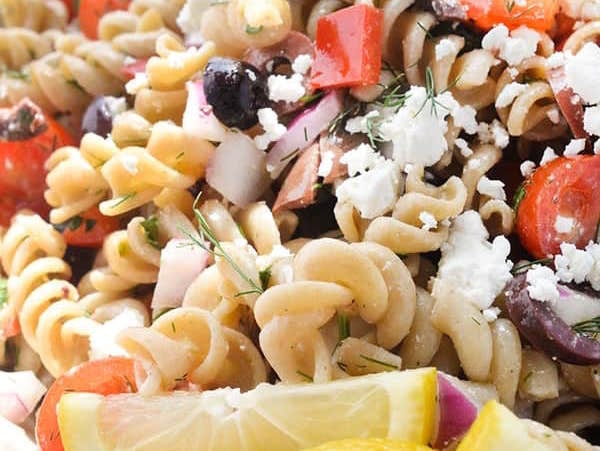 Ready in just 25 minutes, this is an easy Greek pasta salad you can prepare any night of the week. All of your favorite Mediterranean flavors â€” including olives, parsley, feta, and cherry tomatoes â€” are combined into a single bowl. Leave as-is for an easy vegetarian meal, or top with shrimp or salmon for added protein. â€�This cheesy, gooey chicken parmesan is just as delicious as your favorite restaurant dish, but much easier to prepare. 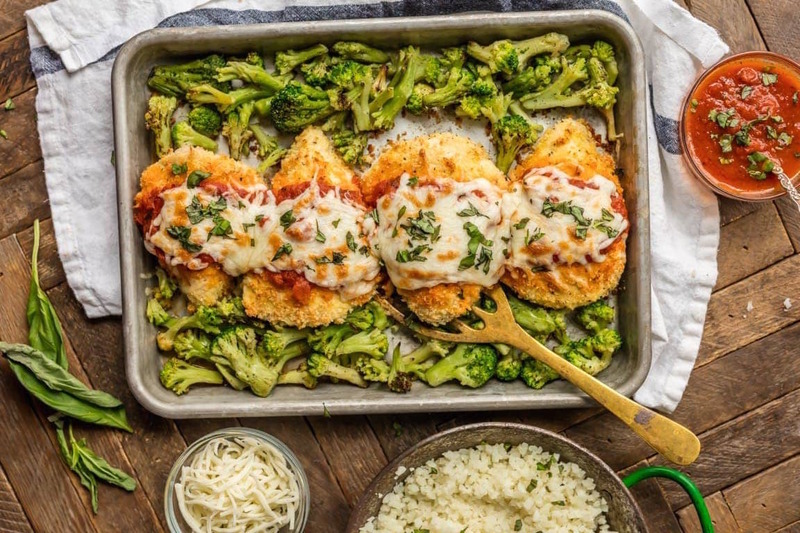 Simply dredge chicken breasts in breadcrumbs, salt, pepper, and garlic powder, then bake with mozzarella and marinara sauce. Pair with cauliflower rice or broccoli to complete your meal. 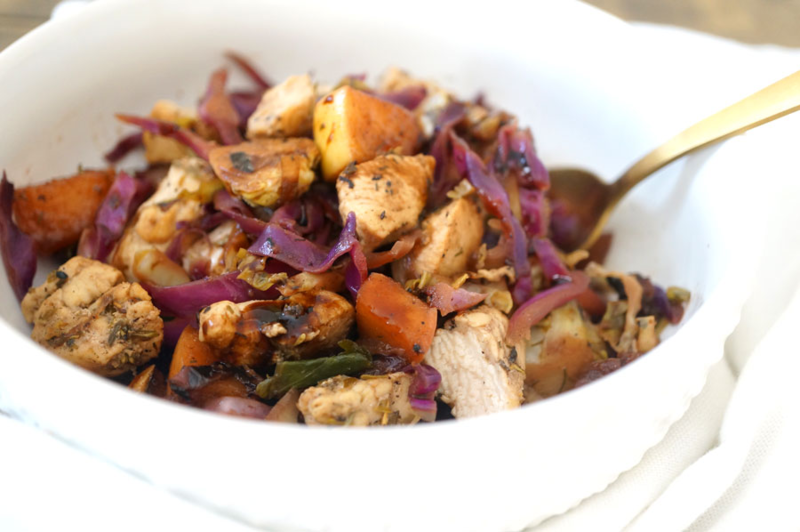 This balsamic chicken recipe takes just 20 minutes to cook on the stovetop, and requires hardly any prep time or planning. It combines meat, veggies, and fruit all in one bowl, making sure you hit all your important food groups. Serve with a side of cauliflower rice for the perfect weeknight dinner. This family-friendly recipe uses sesame oil, coconut aminos (a gluten-free substitute for soy sauce), sriracha, and ginger to make a homemade, Asian-fusion ginger sauce youâ€™ll want to slurp straight from the bowl. 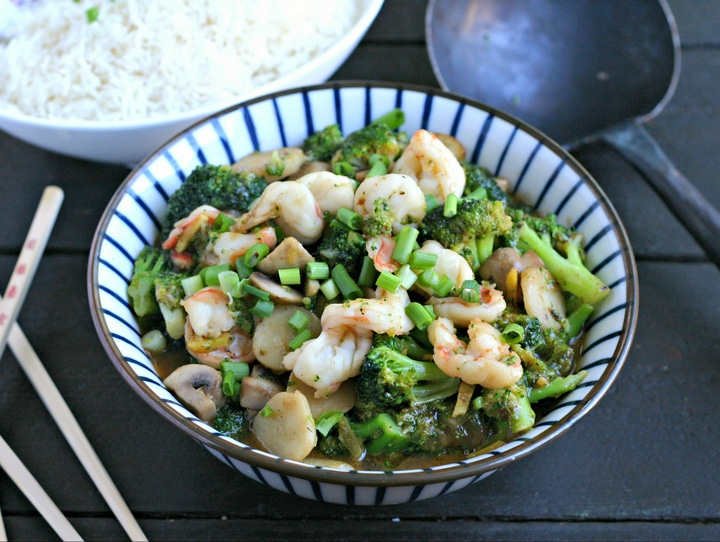 Shrimp, mushrooms, broccoli florets, and water chestnuts are tossed with the sauce then served over brown rice for a complete, clean meal. Clean eating doesnâ€™t need to be a strenuous process. 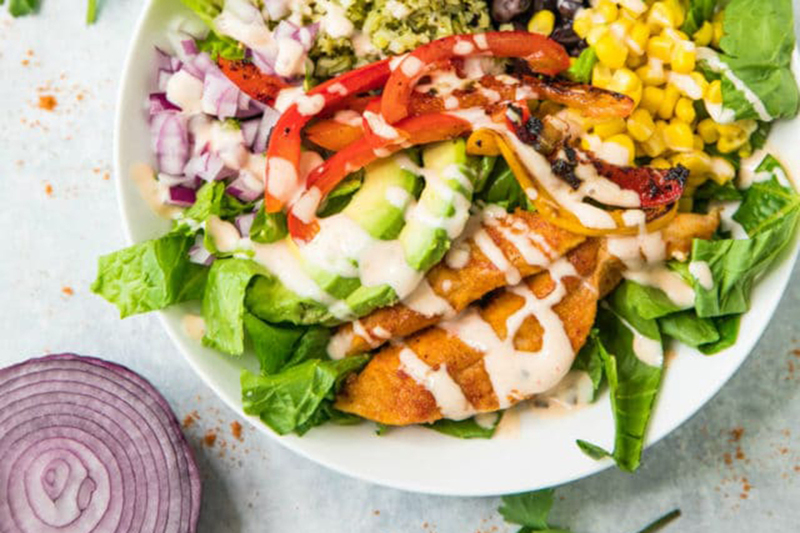 Hopefully, these healthy dinner ideas will make those busy weeknights (and weekend meal prep) much less stressful. For those extra busy evenings, let Tovala do the meal planning (and cooking!) for you. Tovala believes you shouldnâ€™t have to sacrifice healthy meals just because you lead a hectic lifestyle. Allow us to do the cooking by delivering healthy, ready-to-cook meals straight to your door.